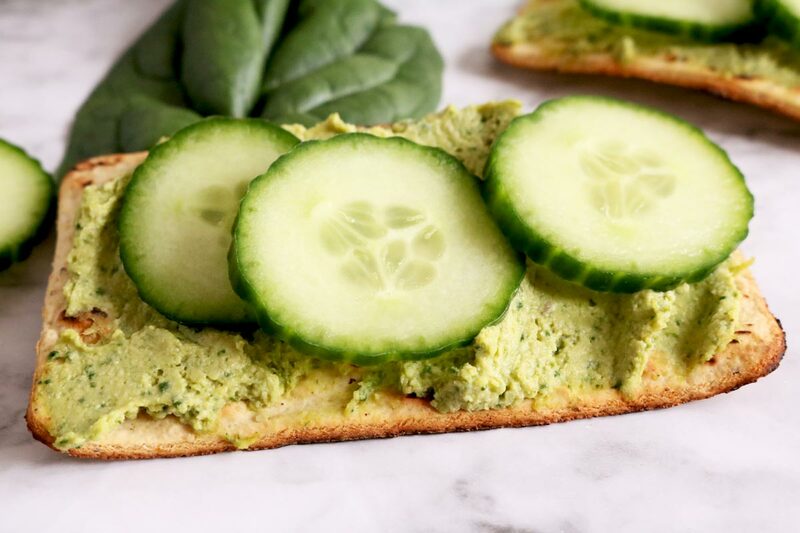 Inside scoop: Step up your hummus game with this creamy (and dreamy) Spinach Artichoke Hummus. Who else is addicted to hummus? We swear we could eat it by the tub! There are so many hummus brands out there that have delicious flavours, which make your hummus dreams come true. Cooked Chickpeas, Water, Tahini (Ground Sesame), NonGMO Soybean Oil, Garlic, Salt, Non GMO Citric Acid, Potassium Sorbate Added to Maintain Freshness. 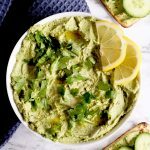 So, hands down this choice is going to be 10000000000x better than a lot of the other dips and dressings out there, and a great starting point if healthy eating is a new concept to you. 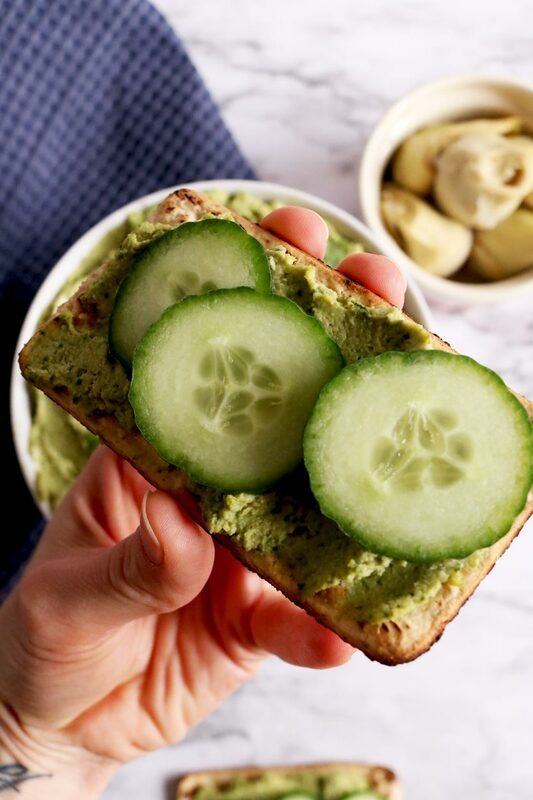 But, we would love to see some hummus brands with fewer preservatives (Potassium Sorbate) no soy oil, and minus the citric acid (which, unfortunately hardly comes from citrus fruit anymore, as researchers in the 90’s discovered that it can be sourced from mould, in a much cheaper fashion). And we’re not saying, no packaged food ever. We always have some handy stuff in our fridge so we created a list of some of our faves (cereal, breads, chips & more). You can download your Nutritionist Approved Packaged Food list below. Hummus is one of those foods that’s incredibly simple to make yourself. 1 batch of homemade hummus can provide you hummus for 1-2 weeks (depending on whether or not you devour it us like). And yes, if you’re wondering whether or not it can be frozen? It totally can be. So, we like to make a massive batch and freeze a week’s worth. 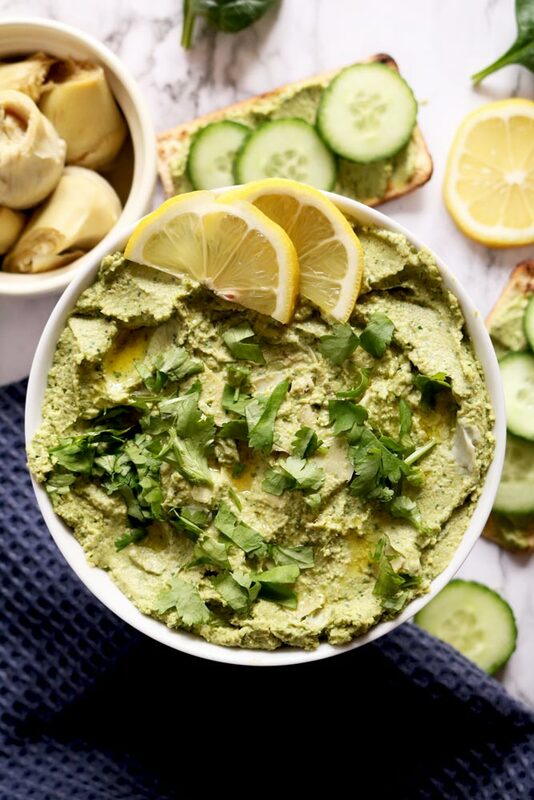 Because, hummus is something that’s ALWAYS in our household, we’ve brought you this incredibly delicious recipe for Creamy Herbed Spinach Artichoke Hummus! 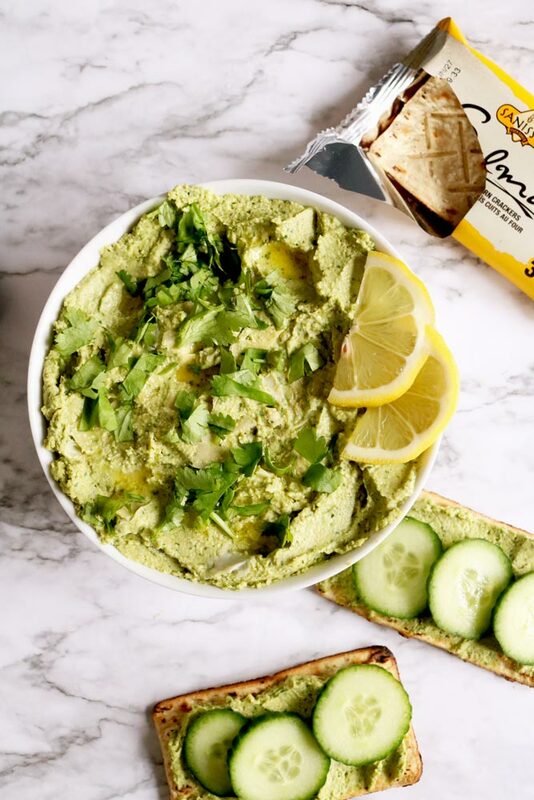 Do you have a favourite healthy hummus brand? Drop a comment below, we’re on the hunt! And while you’re at it, don’t forget to grab the list of some of our favourite Nutritionist Approved Healthy Packaged Food Brands below. 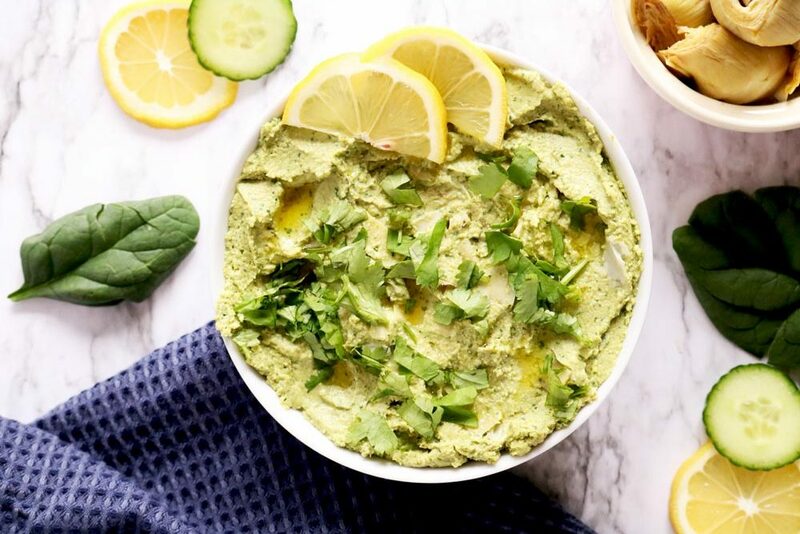 This easy and creamy herbed spinach and artichoke hummus takes 5 minutes to make, is packed with nutritional value, and beats the store-bought version by far. Soak the cashews for 30 min- overnight. Put everything in a food processor and blend until desired consistency. If you want creamier spinach add 1 Tbsp water or oil at a time until desired consistency. Thank you Albert 🙂 We’re absolutely addicted to all versions of hummus too! I’m curious if there is a difference between using cooked or fresh spinach? I am looking forward to trying this recipe. I am wondering if there is any other nut that can be used in this recipe? Excited to try this recipe! Pine nuts or macadamia are great replacements for cashew nuts because they have a sweet taste and soft consistency for blending. The cashews are there to get that ‘cheesy’ consistency, so you could also use silken tofu or even a little bit of coconut cream.